Recently, I’ve been struggling to come up with a project to pursue using my Raspberry Pi and/or Arduino (assembled at an NYC Resistor class over the weekend). Because I’m quite the tyro and need a lot of handholding before striking out on my own, I have been browsing many inspirational step-by-step tutorials and thinking, How can I librar-ify this? 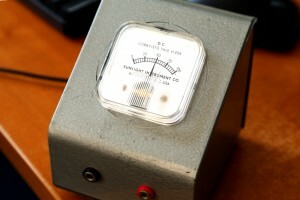 And no, not just for an excuse to tinker during work hours, but also because I know that there are a million and one uses for a baby computer or microcontroller in the context of an academic library — if only I could dream them all up! Librarify it! Using a reference interaction tracker that we aspire to implement and test this summer, we could get a quick visualization of how busy the library or reference desk or computer lab is. A Raspberry Pi and Arduino UNO power a server room monitor that tracks temperature, humidity, and light. Librarify it! The same thing, but in our server room, not that guy’s. 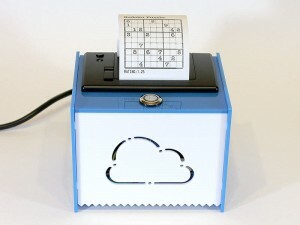 Adafruit’s “internet of things” little printer uses a thermal receipt printer for whatever you please. Librarify it! Search or scan a book, get a printout of information using an API from CUNY+ or LibraryThing or Google Books? 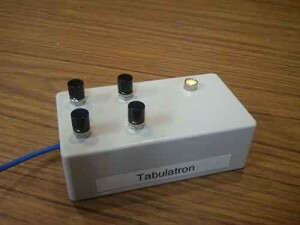 The “Tabulatron,” which uses the Arduino microcontroller, is an easy way to count patron interactions with the push of a button, sending the results to a Google Drive spreadsheet instantly. Tim Ribaric and Jonathan Younker at Brock University created this and wrote a tutorial for the Code4Lib journal. Librarify it! Already librarified!! Perhaps the counter could include a “low-level panic” button, for when a librarian at the reference desk is overwhelmed with patrons and needs back-up. What else can we think of? What frontiers have I completely missed?